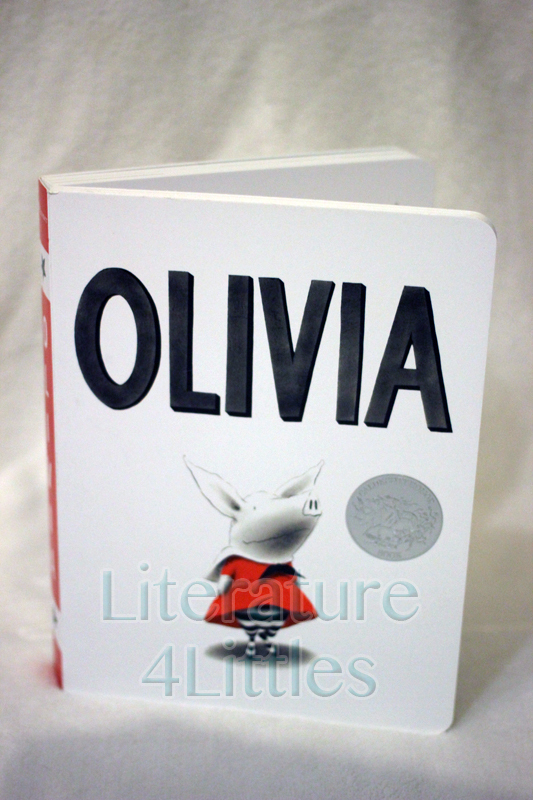 This fun picture book about a precocious little piglet named Olivia is a great addition to a young child’s library. Olivia follows the titular character on her various activities, including getting dressed, going to the beach and museum, and getting ready for bed. Olivia is a Caldecott Honor Book, and for good reason. The illustrations in this story are generally in shades of black and gray with pops of brilliant red. The color red, almost always on Olivia, is used to intentionally draw the reader’s eye to Olivia and her various activities. 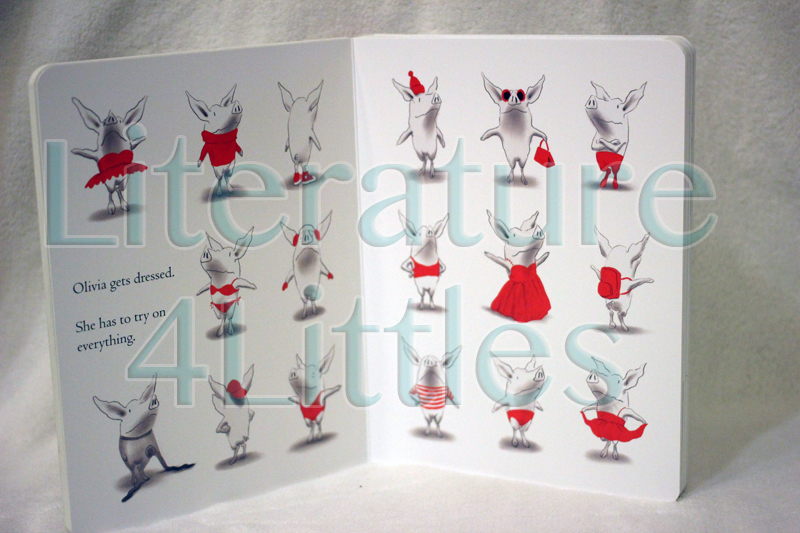 I particularly like that the author incorporates the arts in this picture book. Olivia encounters a piece by Jackson Pollock and attempts to emulate it on a wall at home (much to the chagrin of her mother). She also views a ballet painting by Edgar Degas, and imagines herself as a dancer. I love that the author both included these art pieces and has the main character inspired by them. I also like that Olivia negotiates with her mother at the end, not for candy or for a toy… but for how many books to read before bedtime (Olivia is on the higher end). Yay for promoting books and reading! I would recommend this book for toddlers and young readers. Previous Post Seasonal Books – It’s Pumpkin Day, Mouse!